It feels like studios are pumping out animated films left and right as of late, and many of these films are forgoing involving narratives for strings of tired pop-culture references. Rio, from Twentieth Century Fox and director Carlos Saldanha, is guilty of overusing the voices of big-name actors, pop music and cultural references, and is squarely targeted at the single-digit crowd. Even so, Rio is a surprisingly sincere tribute to the culture of Rio de Janeiro, Brazil, as observed by some exotic birds, and it features enough laughs and easily digestible life lessons to warrant a family viewing. 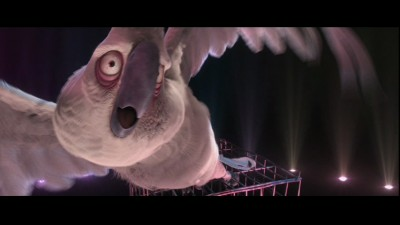 Blu (Jesse Eisenberg) is a rare blue macaw that lives a pampered life in a bookstore with owner Linda (Leslie Mann). 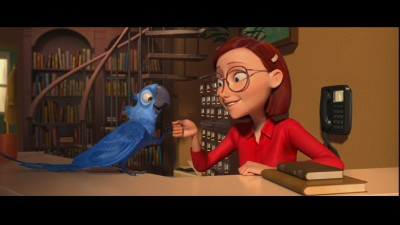 Brazilian ornithologist Tulio (Rodrigo Santoro) convinces Linda to bring Blu to Rio to mate with female blue macaw Jewel (Anne Hathaway) in order to save the species. Linda reluctantly agrees, but, after he is introduced to Jewel, Blu and his prospective mate are stolen by a band of exotic-bird traffickers. Much to Jewel's chagrin, the domesticated Blu cannot fly and has never been on his own in nature, facts that make her planned escape from captivity more difficult. 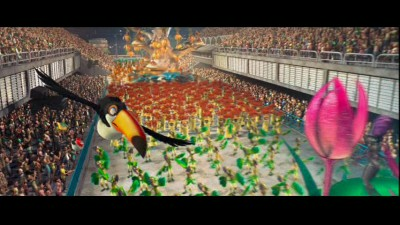 Setting an animated film in Rio was an interesting choice. Saldanha, who also directed Ice Age and its sequels for Fox, includes shots of Rio landmarks Christ the Redeemer and the sardine-can shacks of the favela, as well as sly promos for the 2014 FIFA World Cup, which will be held in Brazil. Much of the action takes place during Carnival, the massive festival held annually before Easter, and Rio also celebrates the music, dance and food of the region. This cultural appreciation offsets a generic story and several annoying characters. The journey home for Blu and Jewel is nothing special, but they do encounter a host of colorful characters along the way. 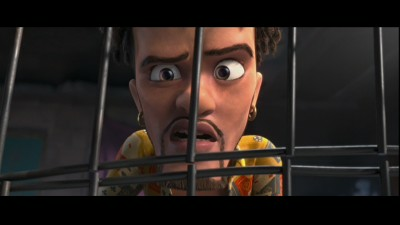 These include cardinal Pedro (will.i.am) and yellow canary Nico (Jamie Foxx), who attempt to reunite Blu and Linda, as well as chatty toucan Rafael (George Lopez), villainous cockatoo Nigel (Jemaine Clement) and hanger-on bulldog Luiz (Tracy Morgan). It's no surprise that Rio got its own tie-in edition of popular mobile game Angry Birds, which has about as much character development as the film. 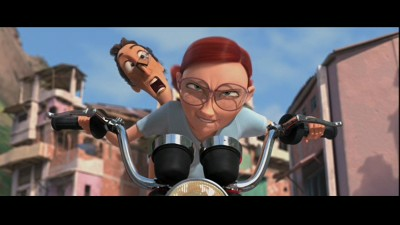 The most accomplished animated films - think those from Pixar - tend to feature no-name voice talent. 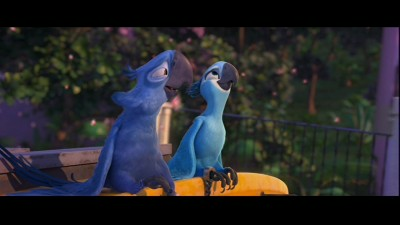 Rio takes the opposite approach by filling nearly every role with the voice of a popular actor. This overstocked cast is my biggest issue with Rio because the use of all these players is downright distracting. At no point did I forgot who was voicing each character, and every time I became involved in the story, a new R&B singer would pop up to wrench me out again. 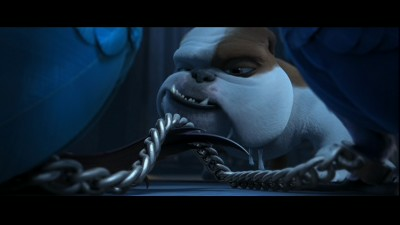 The story is clearly second priority here, and the animation isn't good enough to match all the super-star emotion. 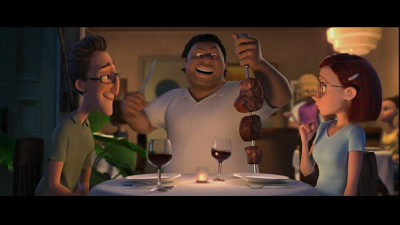 Some of the characters are downright grating, too, particularly Luiz and Linda. It's clear the filmmakers wanted Luiz to be Tracy Morgan and not the other way around. And while Mann is a great comedic actress, I wanted the bookish Linda to stop talking five minutes into the movie. The recent animation renaissance partially severed the genre from its roots in children's entertainment by providing material aimed at those paying for all the tickets. 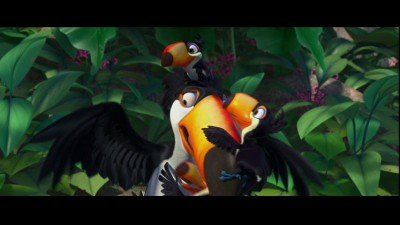 Rio, however, is definitely a movie for children. It's not that parents and those over the age of ten won't like Rio, it's just that the film never tries especially hard to make sure they do. The ultimate irony is that those old enough to appreciate the voice talent will likely find it distracting, and those who won't recognize the actors could care less anyway. I appreciate the film's nod to Brazilian culture, and, while it's not particularly resonant, Rio is colorful enough to impress its junior audience. Per their policy, Fox's screening disc does not include the final transfer or soundtrack, so I cannot comment on these areas of the disc. If a retail copy becomes available to me, I will update my review accordingly. Although the final product may differ, Fox's screening copy of Rio includes two discs worth of extras. As far as I can tell, the movie will be available on DVD as a single-disc offering or the two-disc "party edition" with extras, songs and a "new movie," which is not included on the screening copy. On the first disc are a deleted scene in rough form (1:30), a Welcome to Rio Music Video (1:37), the Rio de JAM-eiro Jukebox (8:34), which plays the film's musical numbers, and a Taio Cruz music video (1:55). To say these extras are throw-away would be an understatement. 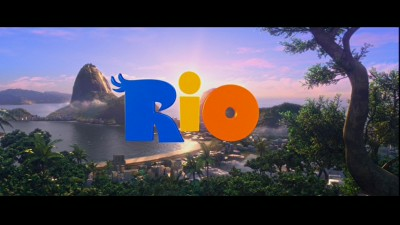 Things get better on the second disc, which kicks off with Explore the World of Rio, which allows viewers to select different areas of Rio and view corresponding clips, pictures and text. Saving the Species: One Voice at a Time (24:48) is the disc's making-of, which includes interviews with the cast and crew and explores a bit of the animation process. This is a decent piece, but I would have liked to see more of the technical stuff and less of the cast droning on about how great the movie is. The Making of Hot Wings (8:03) spotlights the creation of one of the big dance sequences, which includes performances by will.i.am and Jamie Foxx. Boom-Boom Tish-Tish: The Sounds of Rio (13:29) reveals that the filmmakers had real Brazilian inspiration for the film's soundtrack, and Carnival Dance-O-Rama allows viewers to learn dance moves from Blu and several other characters. The Real Rio (9:32) is perhaps the best extra, as it explores the city at the heart of the film. The film's theatrical trailer and bonus previews are also included. Nothing if not colorful, Rio is an average animated feature that overuses its voice actors and relies too heavily on pop culture references for humor. The adventure story at its heart is bland, but Rio at least features a unique setting and appreciates Brazilian culture. Rio is nowhere near as complex as recent efforts from Pixar and DreamWorks, and its target audience is young children, who will no doubt find the movie delightful. Fox's DVD features a decent selection of extra material, much of which is aimed at kids. Fans of the film may want to purchase it, but I'd suggest you only Rent It.